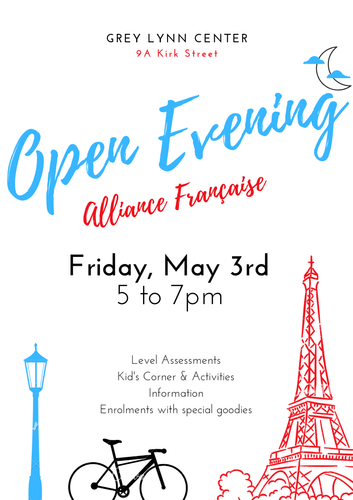 Come & see what Alliance Française is all about! We organize this free Evening for all to visit us, see what we do, discover our teaching style, have your level assessed and find out which class is right for you, become a member and sign-up for classes with special goodies on this day. All morning: Level assessments, children corner & activities, information and enrolments.